Gambhir had participated in several BJP meetings including the election campaign of Arun Jaitley in 2014. 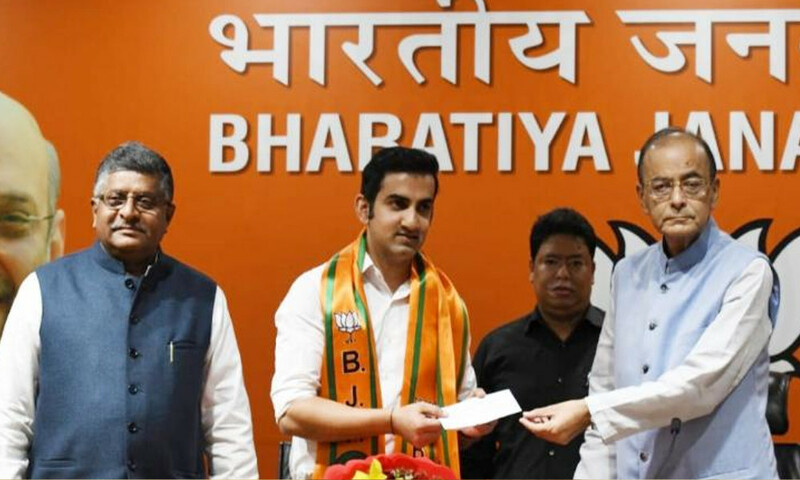 Cricketer Gautam Gambhir on Friday joined BJP. Along with Union ministers Arun Jaitley and Ravi Shankar Prasad, Gambhir announced his entry to the saffron party in a press meet. He is expected to contest the Lok Sabha elections from a constituency in Delhi. He said he was attracted to the party by the works of Prime Minister Narendra Modi. Gambhir had participated in several BJP meetings including the election campaign of Arun Jaitley in 2014. He also criticised Arvind Kejriwal several times. The former opening batsman of Team India was part of the world cup winning teams of ODI and Twenty 20. Earlier, the Team India came under criticism for opting ‘jingoist’ measures in the ground. They wore Army uniform-like caps in the third ODI against Australia at Ranchi following the Pulwama terror attack. There were rumours about the ‘political innings’ of several cricketers including Gambhir and Virender Sehwag. Sehwag but denied the rumours. Though Saurav Ganguly had turned down the invitation from BJP in 2015, fake news over his entry to the party was widely shared on social media in 2018. Former cricketers Muhammed Kaif and Mohammad Azharuddin lost in the 2014 elections when they contested from Congress tickets. Azharuddin, however, had represented Moradabad Lok Sabha constituency in 2009.